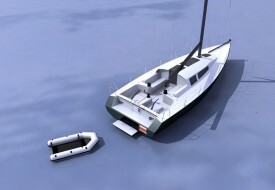 The GTO39 fullfills an increasing demand: sail fast, far without sacrificing safety. 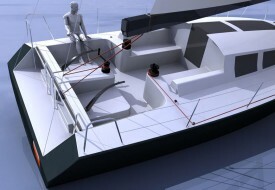 The ingredients: design by P.Rolland and aluminum round bilge construction. 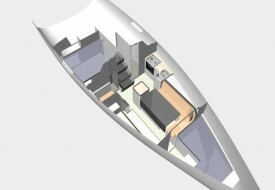 An efficient deck layout with a secure and comfortable zone and a helming and control zone aft. 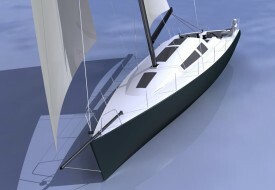 The evolving chine hull keeps the sailing power whilst maintaining a reduced maximum beam. 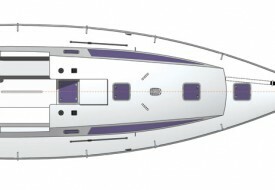 Hydraulic pivoting keel. Inflated dinghy fits the garage under the cockpit.